Niger seed is preferred by Goldfinches, Redpoles, and Pine Siskins. 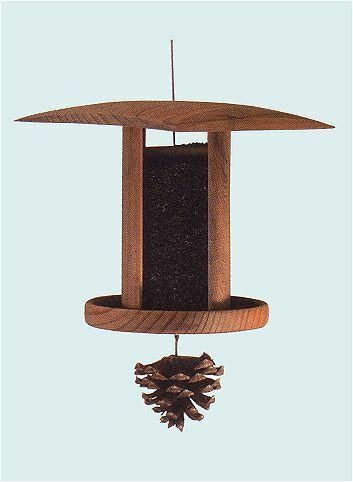 These bird feeders have an easy top loading design to protect thistle seeds from the elements. It is simple to clean out these bird feeders. This bird feeder is designed to minimize waste. Holds approximately 2-1/2 cups.